We’re excited to announce we’ve been named among Central Florida’s 2016 Best Places to Work by the Orlando Business Journal, which considers and rates our employees’ overall job satisfaction, leadership, career opportunities, compensation, and work-life balance. For anyone hoping to find a job and a company they love, the Best Places to Work are said to stand tallest for providing outstanding work environments and company cultures. “I believe that making our employees’ work environment as satisfying as their quality of life outside the office contributes to fueling their passion to help our clients, and to help themselves to continually improve and develop as professionals,” said Tom. “We have an extraordinary team,” said Tom. “Our people care about each other, our clients, and the community. They are the heart of Ruggie Wealth and the special culture we have built and cherish here. Ruggie Wealth Management offers unique career opportunities to top-tier candidates who are committed to ensuring our clients receive the best possible attention to their financial/investment needs. Our crucial management, advisor, and administrative positions require candidates who have both the requisite experience and a total commitment to providing the unmatched quality of service we have built our reputation on. Please contact us through the quick contact form on the right of this page if you’re interested, and attach your resume. Ruggie Wealth Management has immediate openings in our offices in The Villages® and Winter Park for a Director of First Impressions/Administrative Assistant. As the first and last person clients see when they are in the office, The Director of First Impressions plays a very important part in setting the tone for the organization, and making sure clients have a positive experience. The Director of First Impressions also assists team members in preparing for client meetings and helps ensure aspects of client accounts are properly maintained. This role will exceed expectations in providing on-going service and support to clients and to team members. The Financial Advisor is responsible for advising and servicing designated clients of Ruggie Wealth Management using the methodology, procedures and service level standards required for this position. Click here to see full job description, duties and qualifications for this position at our office in The Villages and Winter Park, Florida. Apply using the form to the right. 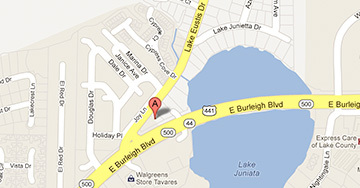 Office Location – Tavares, Winter Park or The Villages FL. The Client Relationship Manager/Advisor Assistant is responsible for a wide variety of office support duties. The CRM assists team members in preparing for client meetings and ensures aspects of client accounts are properly maintained. He or she must be an organized, efficient, and detail-oriented individual who can perform daily office tasks in a fast-growing and fast-paced environment. This person must have a passion for providing ongoing service and support to clients that exceeds expectations. Click here to see full job description, duties and qualifications for this position that can work out of our office in Tavares, Winter Park or The Villages, Florida.